Helicoprion is an extinct shark which does not have a common name that I know. Most sharks have scary teeth, but the lower jaw on this one has a freaky looking spiral like projection covered in teeth. This bizarre structure probably formed gradually as the sharked aged growing outward as it gets older. You are probably wondering what those thing is used for. Well your guess is as good as mine. It is very hard to tell with such a unique structure on an animal that went extinct so long ago. They could grow to about 4 meters in length making them a large shark, but they are not breaking any records. 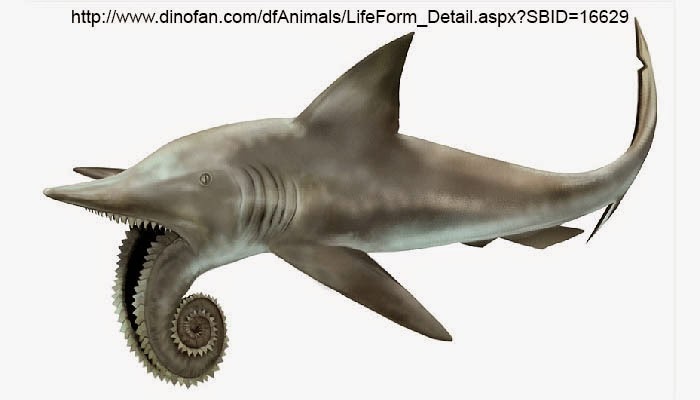 Helicoprion fossils are 310 to 250 million years old which means they predate the dinosaur era and went extinct in the Early Jurassic. 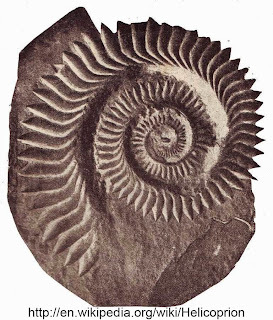 The Helicoprion genus has been placed in an order named Eugeneodontida, whichnis completely extinct.